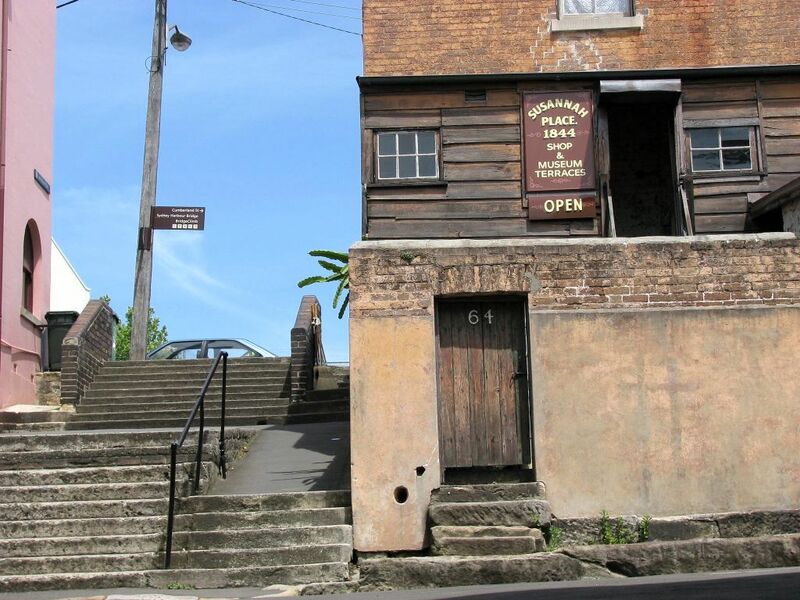 Susannah Place is a collection of Victorian terrace houses in the Rocks area of Sydney, now operated as a historic house museum. A special point of interest is an area of wallpaper that has been exposed to show several layers at once. This allows visitors to see the progression of the decoration in the property.